As far as activities go, the number of Maui Activities and Maui Tours available here, far exceeds the number found on any other Hawaiian Island. This is primarily because the actual geography of the island provides many more areas to explore and to experience. Maui is made up of two large volcanoes that are connected by a large valley between them. Mount Haleakala is the largest of the two and rises to a height of over 10,000' and at the very top has a huge volcanic crater that descends 3,000' and is 21 miles in circumference. The famous Hana coastline is located on the east end of the island and is an area of immense rain forests. The road to Hana is carved out of a picturesque coastline of beautiful cliffs that descend majestically to the ocean below. The island of Maui is actually just one of four separate islands (Maui, Lanai, Molokai and Kahoolawe) that make up Maui County and the waters between them are relatively shallow and create a perfect location for the Humpback Whales to visit, calve and procreate, and they come here with great regularity every winter. The coast off Lanai is just a 45 minute boat ride from Maui and it boasts some of the best snorkeling and dolphin watching in the state with the largest continuous reef in Hawaii. With regard to snorkeling, Maui also offers the small crescent shaped island caldera called Molokini and this is frequented daily with boats coming to explore this underwater marine reserve. The island of Molokai has the largest free-falling waterfalls descending into the ocean in the world and is a popular helicopter destination and it also is the home of Father Damien's Leper Colony which was the home of those unfortunates in the mid 1800's who fell prey to this incurable (at that time) disease and remarkable tours are available to visit this remote but incredibly beautiful location. 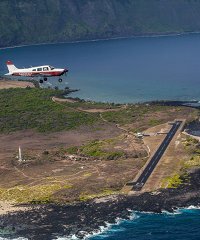 Less expensive than a helicopter, these fixed wing aircraft visit Maui from above. 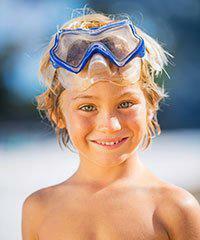 These include some of the most fun, educational and inexpensive activities available on Maui. These popular activities will take you to private areas of Maui that you would not be able to otherwise visit. 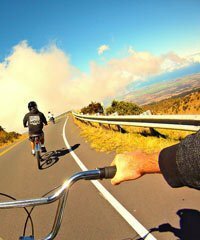 The famous Haleakala Downhill Bike Ride is the envy of all bike riding options in the state. Many cruise ships dock in Maui and hundreds of activities are available to them. 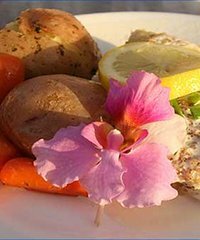 The beautiful Maui dinner cruises are among the most popular activities on the island. 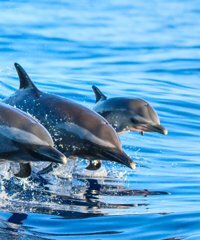 Perhaps the most fun animal in the sea, you can see dolphins in many waters off Maui. 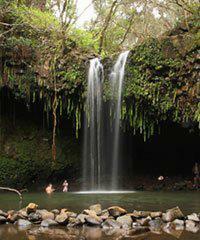 Visit Hana, Haleakala, Iao Valley, Up-country, Maui has so much to see. 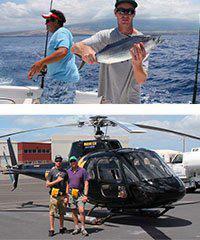 With many great fishing areas between the islands of Maui County, sport fishing is a big industry here! 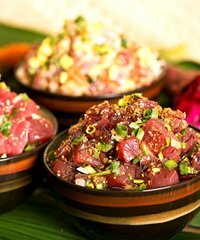 Check out the ethnic heritage of the peoples of Maui by experiencing their authentic and traditional foods. Maui is a golfers paradise with many courses and incredible views. The fact that you may have a disability won't hold you back from enjoying Maui. 75% of Maui can only be seen from the air. 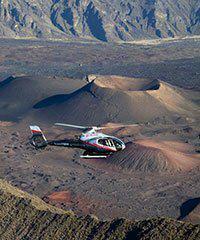 Enjoy a flight over Haleakala, Hana, Molokai and more. Hike through the Crater, into a jungle, through a bamboo forest or to a waterfall. 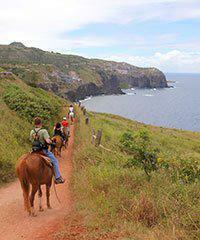 Maui has numerous Horseback Riding Stables on many parts of the island. Travel up into Maui's prime hunting grounds and hunt for wild goat, wild boar or deer. Take a 1-day tour to Pearl Harbor, the Hawaii Volcanoes or Molokai and return to Maui that night. 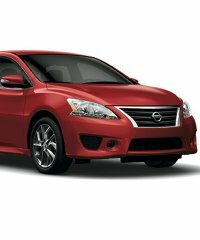 Zoom the coastline with your 'need for speed'. There are beautiful kayaking locations all over Maui. Maui is an island sized playground for children. We have many great tours for kids. 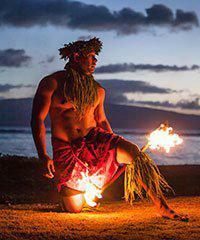 Maui is often considered the very best island for luaus. Set aside a night for this activity but book early. This is one of the most famous spots for snorkeling in all of Hawaii. Fly like a bird above the ocean with amazing views of the island. Visit Pearl Harbor from Maui on a one-day tour. Organize any type of private tour for your family, small group of friends or corporate event. 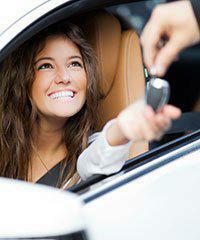 Having a Rent-a-Car on Maui is the most convenient way to get around. 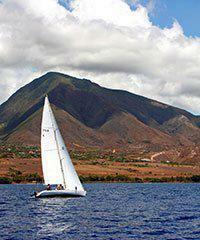 Maui has all the wind you need and there are lots of sailing boats to accommodate you. 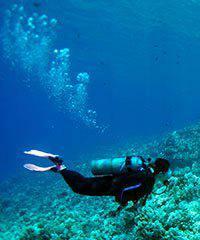 Whether you are an experienced or first-time diver, Maui is the place for a scuba dive adventure. This is the number one activity on the island. Maui has many locations, and Lanai and Molokini too! You're on vacation. Indulge yourself. Maui has the best spas. Check out the 'half of Maui' that's underwater. A great adventure! This may turn out to be your most memorable two-hours of your vacation. Hawaii is the home of surfing. 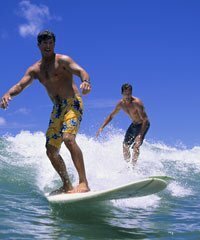 Maui has some great surf spots and great surf instructors. Great of kids! There is more to do at night on Maui than just a luau. Why not try a magic show? Take a six hour tour to Molokai and visit the famous and beautiful Father Damien's Leper Colony. Take a boat ride to the island of Lanai for some fantastic snorkeling and/or a tour of the island. 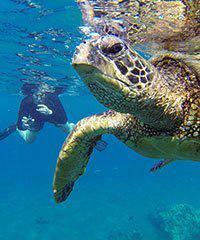 Discover the unusual tours that are so special to Maui. 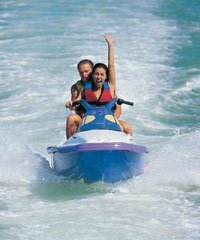 This is a great way to get some exercise and have some great fun on the ocean. Here is a list of all the different water sports you can do on the island. Maui is incredibly popular for weddings. How about a vow renewal while your here? This is Maui's number one activity during the winter months. Feeling a bit adventurous. Maui can scratch your itch! 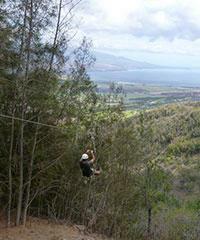 Maui was the location of the first zipline in the country. Now we have tons of zipline courses. Do you still have questions about Maui? 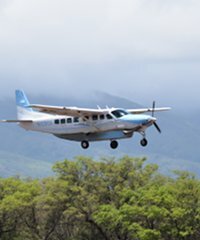 How does the unique geography of Maui provide a special platform for Maui Activities and Maui Tours? 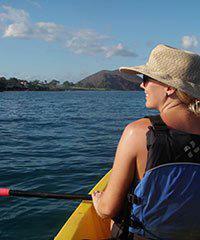 How will Maui's Weather effect your Maui Activities and Maui Tours? 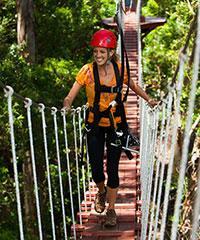 What are some of the most unusual Maui Activities and Maui Tours? What are the Top 10 most popular Maui Categories? We sell tickets to 663 items on Maui. Use our Activity Match ℠ Tool to make choices of activities that exactly fit your preferences. Fixed wing air tours on Maui can simply fly over the island of Maui but the most popular of them are those that either include the erupting volcanoes of..
Maui Ocean Center, Hawaii's Top Rated Family Attraction (Zagat Survey US Family Travel Guide), provides an up close view of Hawaiian Marine Life without.. 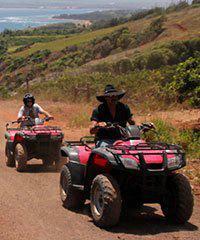 In the past All Terrain Vehicles (ATVs) were a popular way to get around on Maui, either on or off the road. These days the traffic laws do not permit..
We market and sell some tours as "Combination Tours" on Maui. 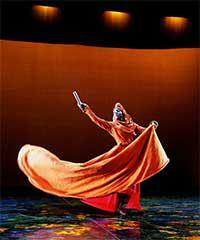 Please keep in mind that as a general rule the differences between two tours bought as a.. 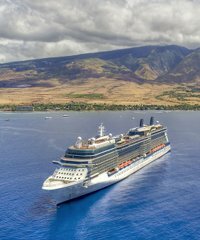 If you are coming to Maui on a cruise ship then you need to make sure you browse our Maui cruise ship category before you make any reservations for activities..
Dinner cruises usually include: full dinner, an open bar, live entertainment and the best show of all: the islands, the sea, the mountain peaks, clouds,.. Unlike Maui's famous Humpback whales, dolphins are year-round residents of Hawaii and can be seen off all the Hawaiian islands during virtually every month..
Maui land tours include tours to Haleakala Crater and to the Iao Valley. We even have land tours that travel one way visiting Hana and then return back..
All roads lead to a great magical day of many delicious food tastings and great information when you're on a Maui Farm Tour or a Maui Food Tasting Tour. Maui's deep sea fishing charters usually depart from either Lahaina or Maalaea Harbors. These fishing charters come in 4 hour, 6 hour or 8 hour tours and..
Hawaii is one of the premier golfing destinations on the planet. Once you've experienced a round or two of Hawaiian Golfing you will undoubtedly understand..
We frequently get asked questions from our clients about the handicap accessibility of our tours. As a result of this we have created category on our website..
View isolated valleys, hidden waterfalls, secluded ridges, triple-canopy rainforests, and mountain summits. Some areas are so dense and rugged they are..
Maui has more hiking trails per square miles than most National Parks. 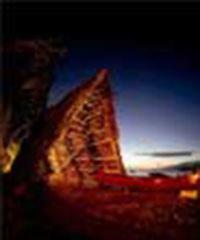 Tours are available to visit the crater floor of Haleakala which will take a full.. 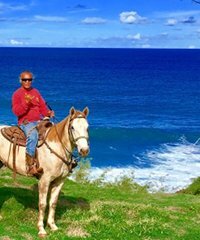 Riding stables and working ranches are located from Kapalua in West Maui to Makena in South Maui and from Waihee Valley to Hana. 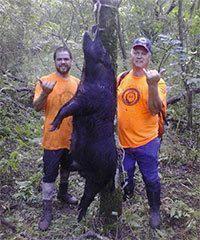 All will want to know..
Hunters in Hawaii has access to some of the finest hunting grounds on Earth. The temperate climate and abundant rainfall allow pigs, goats, sheep and.. The calm, warm waters off the beautiful white sand beaches of Kaanapali are the playground for the Maui Jet Ski tours. A Huge demarcated 400 acre sized..
Kayaking tours are some of the most marine intensive excursions that are offered on Maui. 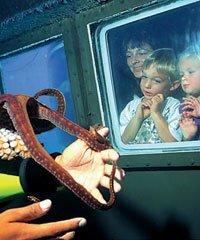 These Maui activities are usually two to three hours in length..
On Maui, even the kids can have fun on tours and activities. 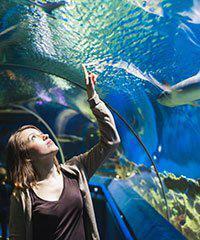 Here's a selection of tours and activities specially chosen for kids. Kids will love these..
A party. Food, drink, dance, music and much aloha. Hawaii is the only place where you can attend truly authentic Hawaiian luaus. Maui is well known to..
Molokini Island Crater is actually the tip of an extinct volcano, barely peeking above the ocean surface between Maui and Kahoolawe. Visibility is often.. I parasail at least once a year in Maui. I can't help it. My son makes me go up with him and he loves it. The truth is, I love it too. Maybe it's the exhilaration..
Are you staying on the island of Maui but would like to visit Pearl Harbor? 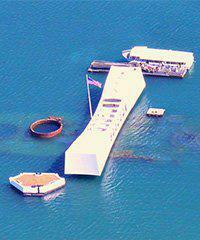 Tom Barefoot's Tours can make it happen with our one day tours to Pearl Harbor.. 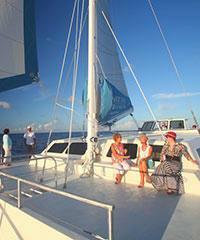 The stiff Maui's trade winds provide for great Maui sailing trips. 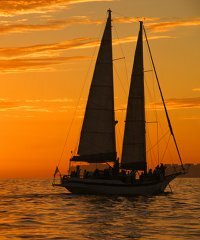 If the notion of Maui sails intrigues you, you've come to the right spot. The Maui.. There are many wonderful scuba diving spots on Maui. 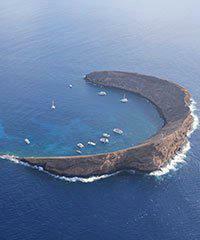 Probably the best known is Molokini crater. Many people snorkel there but scuba divers have a much..
Perhaps you're interested in just taking a sightseeing boat tour off the coastline of the island without going snorkeling. This is the page where you want.. There's a reason people love snorkeling on Maui. The ocean waters surrounding Maui and its neighbor islands of Lanai and Molokini are comfortably warm,..
Spas are Hawaii's hottest trend. The islands are the perfect place to experience an authentic spa that simply makes you feel fantastic! Treat yourself.. 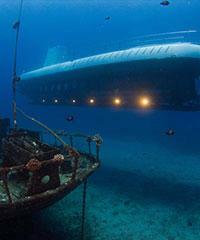 When was the last time you were on a submarine? Never? If you're one of the few who have been on a submarine, I'll bet it didn't have windows! Here's your.. 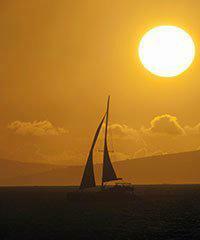 Many vessels on Maui can take you on a sunset cruise, most leaving from Lahaina harbor. 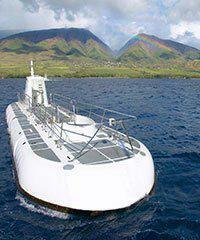 Catamarans, sloops, schooners, and even power vessels - no matter..
Hawaii and surfing are inseparable to many people. After all, it was the sport of the ancient Hawaiians and is even more popular today. 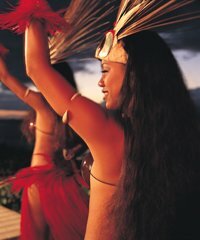 Maui's abundant..
For years entertainment on Maui in the evenings was limited to luaus or dinner cruises. This is not the case today as Maui has some world class theatrical..
Of the three islands that make up Maui County, Molokai stands out as having the closest link to old Hawaii. In many ways, landing on Molokai today is similar.. In the 1800's Lanai was purchased by the Dole family and became the major producer for the Dole Pineapple Company. This role has diminished in recent years.. Sometimes you just can't fit a square peg in a round hole. We have accumulated here on this page a few of the activities we offer on the island that just.. 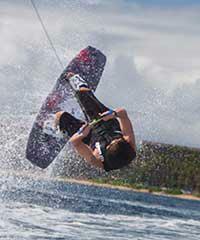 Many people don't realize that wake boarding and water skiing is not just something you do on lakes and rivers. The warm oceans of Maui are a very nice..
Surfing was a sport of the ancient Hawaiians and is even more popular in Maui today. Maui's abundant coastline offers big waves for surfing veterans and..
Our wedding coordinators work with the best photographers, videographers, florists, musicians and purveyors to assist in planning just want you want. These.. 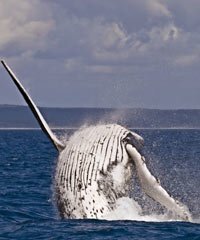 Narration and interpretation of whale movements are provided on Maui whale watching boats. 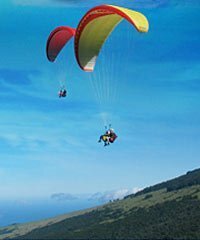 You'll find yourself wanting to know more about these fascinating..
Interest in extreme tours and activities on Maui is growing rapidly. 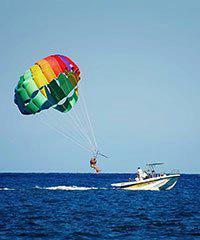 Enjoy paragliding or a zipline adventure or even wakeboarding. 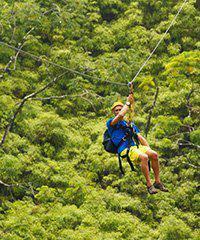 Zipline tours are a fairly recent activity to appear on Maui, but Maui zipline tours are certainly one of the most popular activities on Maui and are often.. This video segment is going to deal with the island of Maui and Maui County, which is actually made up of these four islands. 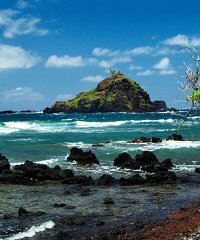 We're going to discuss the geography of these islands and particularly how that relates to this specific Tours and Activities that are then unique to Maui County. Maui County has all the activities that you can imagine, all the different Categories of Activities are found on Maui than you'll find on any other islands at all, but whereas you can do some activities here, you can do in other locations too. The ones that we're going to specifically try to discuss here are ones that are unique to Maui. The specific geography of these islands and create a possibility for these specific activities. We're going to take a look at what those are. 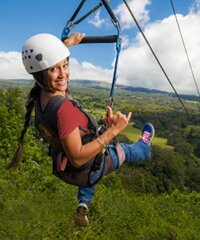 If you're coming to Maui, these maybe the things you want to do here rather than on other islands because there are a bit more unique and possibly more formulated than you'll find on others. Let's look at the geography first, to get a sense of these islands are put together. There are four islands as you can see. You've got Maui County which is the center of Maui and the second largest of the islands, second only to The Big Island which is down here to the southeast. You've got Kaho'olawe, Lanai, and you've got Molokai. These islands are actually the top of a giant underground mountain that goes thousands of feet, and these guys are just peaking up above the top of the island surface. Some are higher than others, Kaho'olawe is very low, not even a thousand feet. Lanai at 2000 foot plus, some areas on Molokai which it's going to be 3 to 4 thousand feet. You've got West Maui here, which is 5000 feet plus, and you've got the Haleakala. This portion of the island comes up about 10000 feet. You've got some differences in terms of how high things are. There is also another major difference geologically speaking that's happening with these islands. If you're to draw a line right here and kind of look in this direction, and all the islands up above Oahu, and Kauai and so on. Everything to the northwest is going to be an extinct volcano. These areas on West Maui is extinct. It has been extinct a million years and probably a little bit more or so as you're going this way on Oahu when you get up there it's 3 million years old. Everything that way is older and it's extinct, and they all have the same kind of look to them. If you look at West Maui for instance, you've Puu Kukui which is one of the wettest spots on the planet, rainfall can be 360 inches there. It changes every year and the rainfall has been altering over the last decade. The extreme rainfall and the wind that you have that happens, and also the sea conditions and so on, they wear on these islands that are no longer being formed and then they create these areas... From Puu Kukui, you've got these spokes of a wheel that goes down kind of like ridges that are just very sharp, and they're just loaded with lush green jungle kind of like dripping down on these cliffs, waterfalls and that sort of thing that are happening on these giant valleys that maybe go down 3000 feet. It is incredible to see what helicopters and such. You'll see that on this side, you'll also see all that kind of a thing over on the coast of Molokai, as you move on the left side. Haleakala is very different, it is considered not an extinct volcano, but a dormant one. One that may go off again at some point in the future, who knows? The last time, it went off is known was about 1790 and of course, that's just a drop in a bucket historically and geologically speaking for an event like that, so it could go off again. The difference really when you look at the island it's called a shield volcano at this stage. It's kind of like a shield, just a flat area if you just took sand and just kind of dump it on one area. It will form into a mount, and just continue to be bigger and bigger. Well, that's what happened with this, the shield volcanoes of this and also The Big Island, Mauna Kea and Maua Loa are just like that. As soon as they stop forming, and just start eroding with the wind and the water from the rain and then the ocean conditions like you'll see on West Maui, Molokai, Oahu, and Kauai. The island starts to take that appearance but still very different right now. Up at the top is Haleakala here which is the giant volcano goes up 10000. At the very top, you've got this crater that is enormous. It goes down 3000 feet and it's 21 miles at the circumference. They actually use the analogy that you can take Manhattan island, you could put it inside there. That's how big it is, but it's all just like the surface of the moon looks like kind of eerie, very stark, very beautiful with colors and so on. This is one of the things that Maui is known for. People go up and see the crater for sure, but they go up and see it for sunrise and that's the big part of what goes on. That's kind of what these look like, also I've mentioned I should make about the channels. These channels here between the islands are very shallow in comparison to waters elsewhere. In fact the waters outside of the perimeter of Maui County, they go down thousands of feet, whereas these areas are going to be relatively shallow. You've got about 8 miles between West Maui and Molokai in distance for that channel is only about 600 feet or so deep. 8 miles again between Lanai and West Maui this way, you only took an 110 and 120 feet deep, so it's really shallow. Whereas you've got thousands of feet that happened all around depth-wise in other areas. Let's talk about the activities and how they relate to the specific nature of the geography of the islands here. First of all, Kaho'olawe is really not going to have any activities. We don't have anything happening there, there are no cities there, there are no people there.It was actually used as a bombing target during and after the war. It's very low-lying island, it doesn't catch much on the way of rain. It's not very verdant as a result and a difficult place to live. People have lived there in the past but for our purposes here in terms of activities, we don't have anything that goes there. Lanai has a history of an extinct crater. You'll find Lanai City the only real city on the island. This used to be where we had at one point, most part of the 1900s. The entire island was owned by the Dole Pineapple Company and a large percentage of the world's population that are world's production of pineapple came right from this island. That's not the case anymore, we don't do pineapple anymore on Lanai. Nowadays, there are absolutely gorgeous hotels that are on the island. One up at the top of Lanai City, one down below on Manele here. That's mostly what's happening over there, we do have ferries that go from Lahaina that will take you over to Lanai. There are two beautiful Greg Norman Golf Courses that are there. For golfers, they just loved those courses. 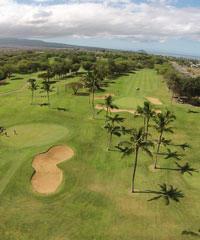 We have special day trips to Lanai and do the golfing and you can be brought back. So we arrange all that stuff for you if you have an interest on that. The other thing of Lanai is that there is a beautiful Snorkeling that happens along the coastlines. This coastline in particular here has one of the largest continuous reefs that you will find anywhere in Hawaii. Beautiful coral formations, lots of fish and that sort of thing. Also, this is an area that you can find Dolphins, Whales or all through that area of course during the season. As you go around further you come to this area called Shipwreck Beach, because there's a big ship that's wrecked there in many years, and there are caves that surround the area, beautiful places to go and explore. 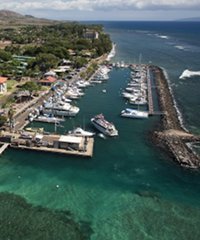 we have lots of boats that will take you from Lahaina or even from Maalaea go over to that coastline and enjoy Snorkeling over there. Most of these are half-day trips. 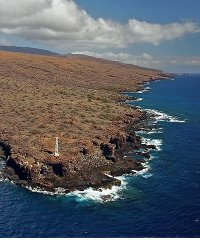 However, we do have full day trips that go all around the island of Lanai and do the full circumnavigation. Those are probably the most marine intensive of all the different activities that we have on Maui. 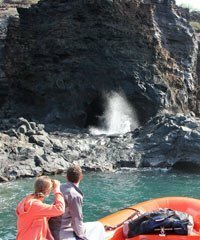 Usually the smaller Boats like the Zodiacs, it's not a bot for everybody but for those who would either really want to get out and enjoy the adventure of that coastline, these are great trips. So that's what's happening for Lanai. Molokai over here is a little bit different, it's a little bit higher mountain. More of a population that goes on there but in terms of seeing an activity in such that we have over there. One of the things that are spectacular is this coastline on the northern coastline. It's cliff's that actually go straight down to the sea Probably 2000 foot drop off, beautiful jungle, gorgeous against the blue surrounding ocean. Also, there are huge waterfalls that come off from the top of the cliffs that goes down to the ocean. They're actually the highest free-falling waterfalls that you'll find anywhere on the planet. That coastline can be seen primarily from by Helicopters or Air Tours that we have. Helicopters are a great thing to be doing. Maui County, in general, has a lot to be seen but also over here on Molokai. In the very center right here, if you can see the northern part. 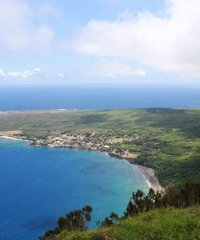 There's a peninsula there called Kalaupapa and it's also referred to as Father Damian's Leper Colony. It's was the Leper Colony that he founded for Leprosy that was in the mid-1800s. This was a place that people with Hansen's Disease could actually go and be a lot to live in peace. It was contagious, so people didn't want lepers near them. There was a big leper colony with lots of people that had leprosy that lived there and became incredibly disfigured because of what the disease did to them. They felt more comfortable just living in their own community. Although they can't reverse the effects of the disease itself. They can stop it from being communicable, it's not necessary to have such a facility. Those days it was a perfect place because you couldn't get there other than by sea since they didn't have the air on those days. Behind it was a huge cliff that went up 2000 feet that you have to go down switchbacks to get there. It was really the end of the earth, but what a beautiful place to live. There's a lot of history that happens there. 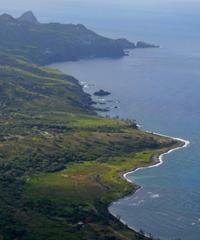 We offer tours that will actually fly in now to Kalaupapa Peninsula. 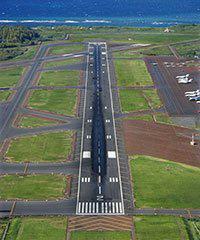 There's a little airstrip there where you can go there from Maui, Oahu. It's about a 4-hour tour once you've landed there and really kind of heartwarming to go through all that history. You'll also get a chance to see the cliffs and do a little sightseeing on the way over there, so it's really a bonus. That's unique to Molokai, the Father Damien's Leper Colony. Back on Maui. We have Whales in all the islands you could see Whales during Whale Season between like, Christmas and Easter on all of the islands, but this is the area that has the largest Whale count. It may have something to do with the shallow areas that we have between the islands, but this is where they show up. They just kind of hang out here, they cavort and have a good time. They seem like they're on vacation, they come to mate and to birth. They just are found in pods, just cruising these areas kind of endlessly through the months that they're here. If you're going to be doing Whale Watching in Hawaii and you have an opportunity to come to Maui would be the place that you want to do that. Something else that we have that is unique for us. Is this that we've mentioned earlier, the crater of Haleakala. 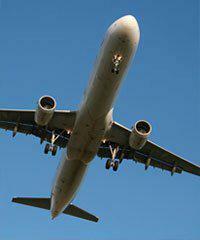 With all, it's beauty and many sightseeing tours that will take you up there. A cottage industry was started in the late 70s that's still going strong today where people go up to the top in a van. They view all the wonders of the crater and then do a Bike Trip. Get on Bikes and do a downhill, all away down to the ocean or areas that are close. Actually years ago, we used to do it from the very top at 10000 feet, and then cruise all away down to the ocean. Nowadays, the National Parks go down to about the 6500-foot level. The tours that we have will go up to the top, they will see the Volcano, and then they'll drive back down to the 6500-foot level. Just outside the park entrance then you'll aboard Bikes that they have adjusted all the handle bars, seats and get it all ready for you, and then you'll cruise down. If you want to do a downhill Bike Tour, you're not going to be able to find that anywhere else other than Maui. That last thing that I would say that is really a major sightseeing kind of mecha event is a little island called Molokini. Molokini is one of the most popular destinations that you'll find anywhere in Hawaii for Snorkeling. It's actually a caldera, it's like a half moon shaped of an island that in the interior, we have many Boats that will go out there, set anchor and then Snorkel, aside from the fish just being out there is geologically speaking, it's just an amazing spot to see, and it's also a bird sanctuary. If you have an interest in doing some Snorkeling, that would be a cool place. We generally do that in the morning, that's the better conditions. It gets windy in the afternoon, so try to organize those for the morning. 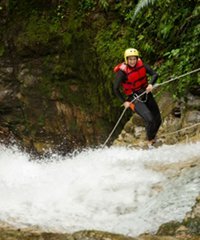 Those are some of the major activities that we have on the island of Maui, and surrounding Maui County that is unique to the island based on its unique geography. A Arenz Travel Planner Assoc.